Steve is certified as a Circuit Court Civil mediator. 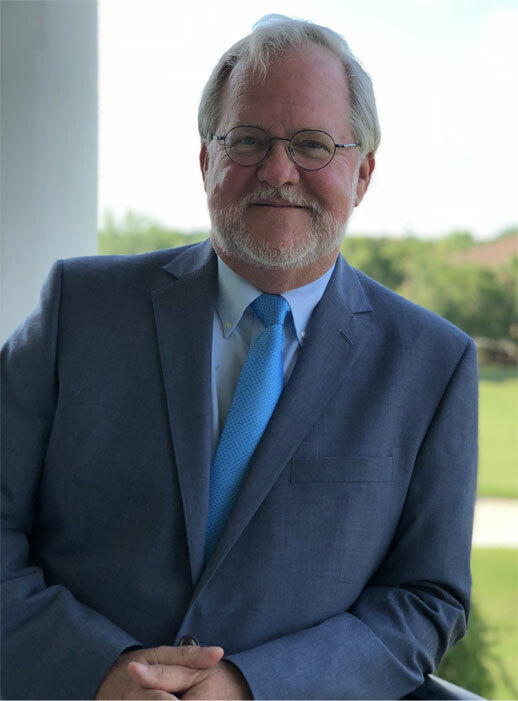 He is approved by both the Florida Department of Financial Services and the Department of Business and Professional Regulation for work with parties in their respective mediation programs. He is a member of the Florida Association of Professional Mediators and the Florida Bar’s ADR Section. He has represented corporations, developers, lenders and government agencies in a variety of administrative and regulatory dispute resolution forums, including complex, multi-party disputes involving controversial hazardous waste and landfill siting disputes. After completing his initial mediation certification training through the American Arbitration Association in 1996, Steve has focused his alternative dispute resolution efforts on resolution of local government and land use related disputes. His current practice includes both voluntary and court ordered mediation of commercial, real property and insurance related disputes. I have made a good living for over thirty years as legal counsel to a wide variety of state environmental and planning agencies, small cities, rural counties, neighborhood alliances fighting development and developers building golf course communities and large concrete residential towers beside the Gulf of Mexico. The violence and lack of civility in the clashes between “for” and “against” in public forums drove me to ADR training as a relief valve and a solution. Whether you practice in this area of the law or not, you see the impact of these land use fights on your community’s civic, economic and environmental health. In every growth state, these fights often dominate the local news. They have two common themes. First, the powerful, corrupt and/or greedy developers aided by their pals in local government are steamrolling their neighbors and ruining the environment. Second, the NIMBY’s and radical environmental advocates with the help of their pals in local government stop well intentioned property owners from exercising their property rights and stifle the local economy. I simplify, but you get the point. Us and Them…Pro and Con… Dualistic Conflict. The only collaboration discussed in the land use debates in many of our public forums is the corrupt kind alleged by the party whose ox is getting gored. What about a new kind of headline story about a new development approved unanimously by a local county commission with the support and applause of neighbors, environmental advocates, local businesses? Newsflash: Local property owner takes a year to talk with their neighbors, local and regional government regulators, local business leaders and community activist groups before they finish the design for their new project and actually listens and acts on what they hear. Is that kind of collaborative success possible? In the practice, I have seen a handful of projects generate that kind of love. I have even seen one development approval get a standing ovation from the diverse crowd in attendance. In each of these cases, the applause was for the process used as much as the final design. Must we assume that this is the DNA of our local democratic process? Is it just natural law that there are always winners and losers in the local land use forums? Our entire ADR community is trained to seek another path. Identification of mutual interests, building trusting relationships, generating creative alternatives that get us to Yes is what we do. But, when we get invited to the dance it’s generally way too late in the process. We are involved in mediations after the lawsuits are filed, after the battles are long joined and participants bloodied. Earlier is better before positions harden. In the areas where I work, not one local government code formally encourages a real collaborative community process at the design and application stage beyond the perfunctory noticed community meeting. Any effort at a broader, inclusive process is usually generated on an ad hoc basis by an active and interested elected official, a bold local planning official, a smart property owner/developer with a smart land use attorney who is also a mediator (shameless plug) or a diverse community action group. The inherent problems here are a patchwork, informal structure where the leader is saddled with a vested interest that they must fight to overcome with skill, integrity and time. We need neutrals as a part of the process. The proposition for your consideration is the creation of a team of neutrals as a formalized part of a local government’s planning and development org chart. My only experience with outside neutrals was working with the Florida Conflict Resolution Consortium to design and facilitate local project permitting charrettes in Walton County in the 90’s. They were hired by my developer clients but were able to carry off the neutral role with professional skill. They showed me the value of the early facilitated community wide planning exercise at the design stage. If you are not familiar with their work, hit the hyperlink. These neutral facilitators would be process leaders, communicators and bridge builders. In my view, it is important that they are not experts “from out of town” so that they know the local process, players and history. They could be paid from local government funds or by all participants agreeing to use the process. The process could scale to any size development plan, but I think it would be best used for larger development and especially redevelopment projects where neighbors are close and old habits die hard. These neutrals would be involved from project design through final order in structuring collaborative process, building coalition support and creating opportunities for creative compromise. The owner/applicant remains in control of their destiny and their final design, but the process to get to final public hearing is broader, deeper and vested with the integrity of trustworthy decision-making effort. I admit that this is more of a call for help than a well-researched scholarly post. Perhaps some of you know of a jurisdiction that has already implemented this idea at a local level that I might reference. Please communicate with me at Steve@hrlaw-destin.com if you’d like to continue the discussion.